This is an introduction into the ways that sound waves, in this case with Tuning Forks ,are used in many forms of healing. Tuning Forks allow for comprehensive healing at a very deep level. You can easily learn this form of healing for working on yourself and others. 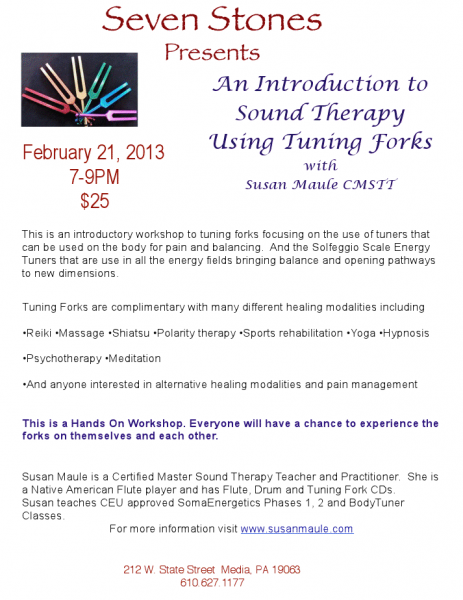 Tuning Forks healing can be done in conjunction with other forms of healing or by itself. Please let us know if you would like to attend as space is limited.